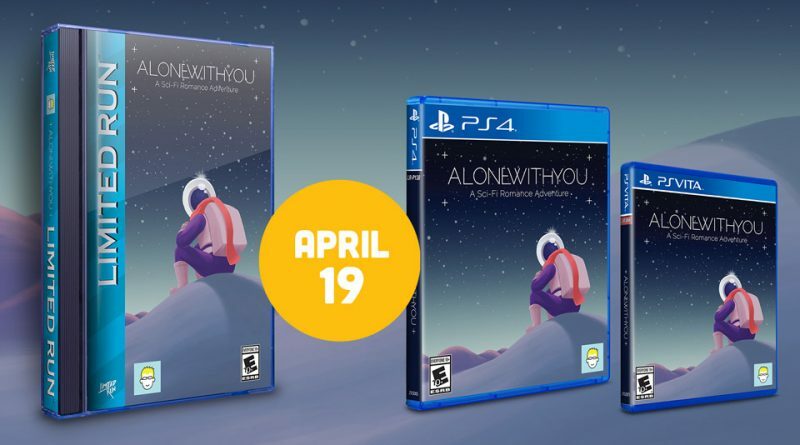 Benjamin Rivers and Limited Run Games have announced that Alone With You is getting limited physical editions for PS Vita and PS4 on April 19, 2019. Alone With You originally launched as a PlayStation exclusive on both the PS4 and Vita in 2016, and made its way to Steam the following Valentine’s Day. Developer Benjamin Rivers called it “a love letter to the Sega CD” – the game uses the visual style, soundscape and 2D sprite-scaling techniques of Sega’s multimedia console to tell a heartbreaking tale of a doomed space colony. “The game was meant to express just how awesome and unique Sega CD games were to me as a teen. But our secret dream was to some day release it in an old-school, real Sega CD package – huge case, full manual, everything. Limited Run Games understood that immediately, and together we’ve created something incredible!”, said Benjamin Rivers, developer of Alone With You. The Deluxe Edition comes in an authentic “longbox” format for PlayStation 4, and includes a full-color manual that features pre-production sketches, character artwork, and behind-the-scenes anecdotes that players won’t find anywhere else. For players a little less nostalgic for Sega’s 16-bit system, Alone With You is also being published in standard physical editions for both PS4 and Vita – an increasing rarity, now that Sony’s portable system has officially ceased production. All three editions of the game go on sale on Limited Run Games’ website on April 19.